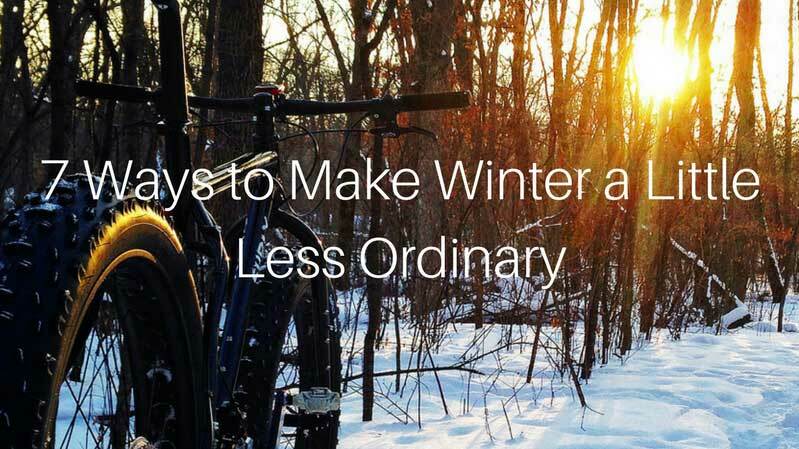 Planning a winter trip Up North? While most will only think of heading to the local ski resorts, we’re adding a few Beyond the Ordinary adventures to your planning list for an unforgettable winter weekend! Don’t wait until summer to pull out the old kayak. 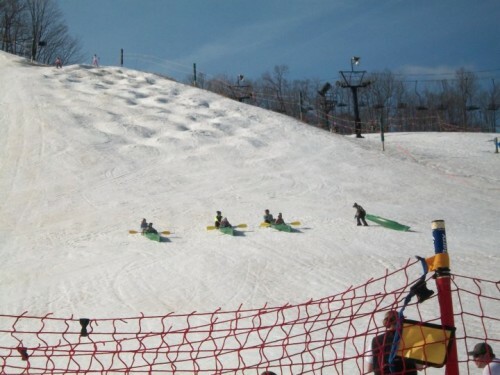 Grab a helmet and paddle and head to the local sledding hill where you will really turn heads! Many of the local resorts from Traverse City to Harbor Springs have snow kayak races during their spring festivals. We decided to take the challenge ourselves. Fat tire bikes give you the chance to get your heart pumping and cover more ground across the region’s most scenic trails. 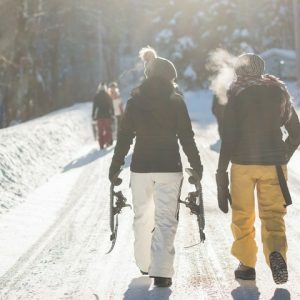 Take a tour around Crystal Mountain Resort or Boyne Resorts on groomed trails ranging from 3.5 to 6 miles long and starting at just $5 for a day pass. From ice to slush, the larger tires provide stability and better traction when taking on the rougher terrain. No learning curve – if you can ride a bike, you’ll love the versatility that fire tire biking can offer you through any season! No, you don’t have to head to the Rocky Mountains or Alaska. 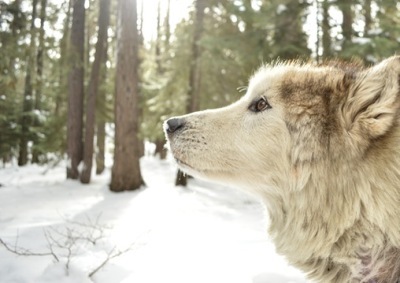 From Kalkaska to Marquette, dog sledding is a thrilling winter adventure connecting you with nature like never before. Tree Tops Resort in Gaylord offers families the chance to meet the team of sled dogs at no cost and $50 rides over the 2-mile loop. In the Upper Peninsula, Nature’s Kennel and Husky Haven Kennels offer thrilling dog sled rides and meet & greets with the team! The UP200 is a must-see event, as one of the country’s premier dog sled race held in the Upper Peninsula, with thousands gathering in Marquette in February to cheer on teams at the start of the 250-mile race. Grab your camera and dress for the elements for an awe-inspiring hike along the Sleeping Bear Dunes National Lakeshore. Lace up some sturdy, water-proof hiking boots or head to Crystal River Outfitters for all your winter gear rentals. Take a park ranger-led snow shoe hike around the park, held on Saturdays beginning in January. 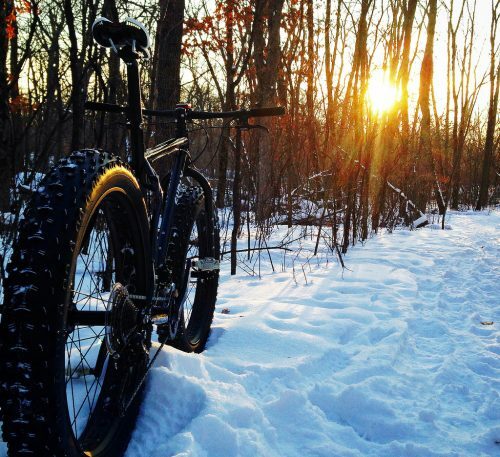 The 27 mile Sleeping Bear Dunes Heritage Trail has groomed proportions through the winter for cross country skiing to fat tire biking, with the most popular loops around Glen Arbor and the Dune Climb to Empire. 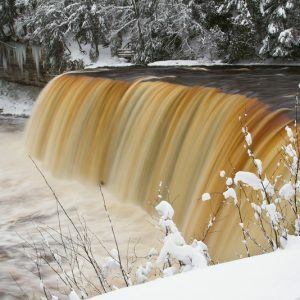 Fifteen miles west of Munising is the Rock River Gorge. While a popular destination in the summer and fall, incredible walls of ice form around the gorge in the winter through a combination of snowmelt and freezing temperatures. Visitors hike less than a mile across a field with hilly portions up the caves – ice cleats are recommended as it gets pretty slick. Dress for the elements and have your camera ready! Head a few more hours east of the ice caves to the Falls, with a nearly 50 foot drop at the Upper Falls and over 40 miles of hiking trails to explore. The park has newly marked snowshoe trails and hosts a lantern-lit snowshoe hike every Saturday with free rentals. 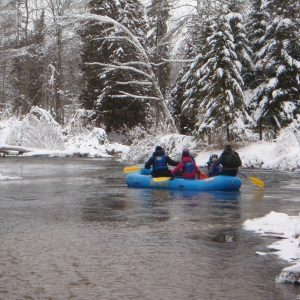 Big Bear Adventures in Indian River hosts guided winter raft trips, where guests enjoy a relaxing cruise down the river . Winter is the best time of year to spot wildlife along the river and is perfect for a fun group day trip for all ages! Kelsey Crawford is a reservation specialist and marketing manager for Holiday Vacation Rentals. 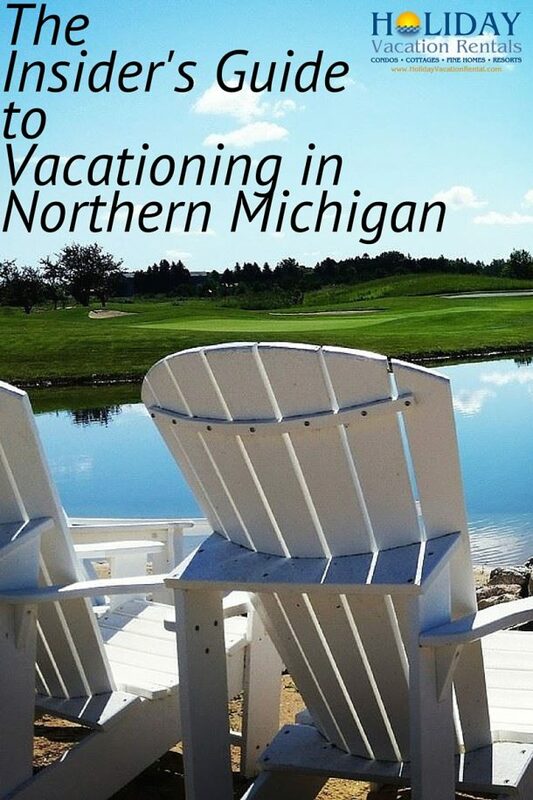 A Michigan State University graduate, Kelsey has had the pleasure of working to create memorable Up North experiences for our guests. Outside of HVR, Kelsey enjoys ski instructing at Boyne Mountain and doing just about anything in the outdoors.